A freshly filed lawsuit is taking aim at Apple’s questionable marketing of its iPhone X, iPhone XS, and iPhone XS Max by claiming, among other things, that the company misled its consumers about display specs and pixel counts as well as obscured the notch on its newer phones with deceptive wallpapers. In the suit filed in the Northern District of California on Friday, two plaintiffs allege that the phones are not, in fact, “all screen” as advertised. 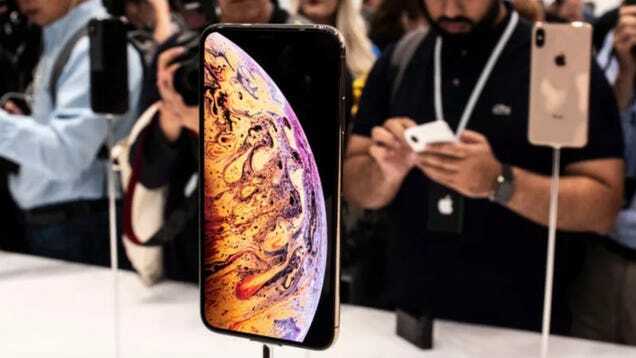 By not accounting for those clipped corners and notch cut-outs, Apple misrepresented displays by “about 1/16 of an inch,” the suit claims. The lawsuit also states that one of the plaintiffs “believed that the iPhone XS and XS Max would not have a notch at the top of the phone” because of the way it was depicted in marketing materials—which, honestly, kind of makes sense. Lawsuits against Apple crop up semi-frequently, but this one makes an interesting case for Apple’s shady marketing of its newer models. As some pointed out earlier this year, the partly black backgrounds that Apple chose for its iPhone XS and XS Max in marketing materials and on displays essentially made the notch disappear. Back in September, Gizmodo wrote that a case could be made that Apple was being coy about the notch by choosing a background that obviously obscured the feature; similarly, however, the decision maybe could’ve been an oversight on the part of the company (though given that it’s Apple we’re talking about here, that seems incredibly unlikely). The lawsuit is currently seeking class action status. Apple did not immediately return a request for comment about the suit.